Nine in ten consumers have a severe lack of understanding as to how organisations are using their personal data, according to a new study. The Chartered Institute of Marketing has released a study today warning businesses over data usage, and asking whether enough is being done by businesses to follow correct data marketing practices and reassure consumers. It also shares practical advice and recommendations for businesses. 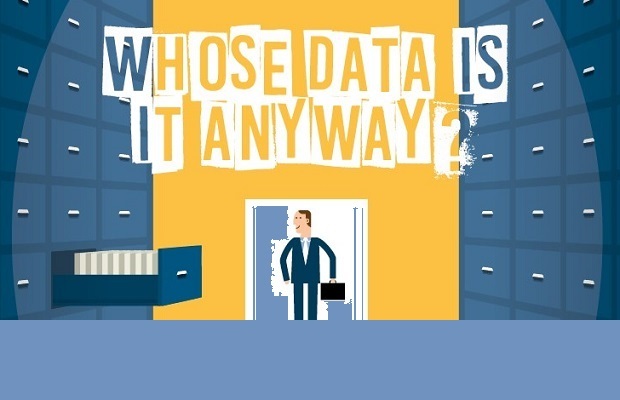 CIM’s ‘Whose data is it anyway?’ study surveyed more than 2,500 consumers and marketers to gain their insight into the use of personal data for marketing purposes. It shows data discrepancies and concerns to be worryingly prevalent across the board. More than half of all consumers (57%) reveal they do not trust an organisation or business to use their data responsibly – the biggest issue being that their information may be passed onto others without consent (40%). The report questions whether enough is being done by brands to follow correct data marketing practices and reassure consumers. Chris Daly, Chief Executive of CIM, comments: “Customer data is essential for businesses and marketers to reach the right audience and meet customers’ needs and interests. Yet our report shows that people are nervous about sharing personal data – fears of data breaches and misuse has them on high alert. And with two thirds (68%) of marketers confessing to limiting sharing their own data as a consumer because they know how organisations will use it, this is extremely worrying. CIM’s report also shows 51% of consumers have received communications from organisations they feel have misused their data, with 17% saying it happens all the time. This is whilst the majority of consumers (70%) still do not see the benefit of sharing their personal data at all. Aside from cybercrime and online fraud, the report also reveals consumers are most concerned about being unable to control who holds their data (44%), their details being used to send physical or online junk mail or spam (38%) and unwanted social media advertising appearing on their social feeds (35%). Only 16% admit to always reading the available T&Cs before providing their personal data and more than a quarter (27%) admit to not knowing their data protection rights as a consumer. •	Of all data capture options, consumers feel most uncomfortable sharing their real time location (71%), information from social media platforms (68%) and their personal phone number (62%). This presents a disparity between what marketers and consumers believe to be acceptable forms of data capture, since 44% of marketing professionals collect personal data from social media platforms and 20% from geo-location tracking. 1. Be straight with people – there is a lot of confusion when it comes to data. Marketers should champion consumers and tell them when they plan to collect data, why they wish to do so and what they intend to do with it. This should be communicated in a clear and open manner across all forms of data capture. 2. Articulate the benefits – if marketers can demonstrate the positive benefits of their data collection to the consumer, and what it will enable them to do such as sharing topical and relevant products and services, then they may be able to gain more buy-in from consumers to extend this. 3. Show you respect customer data – trust, honesty and transparency needs to be at the heart of the relationship between marketers and their customers. It’s clear that the topic of data really matters to consumers, and they want reassurance that marketers are using it securely, and most of all, responsibly. 4. Gain an understanding of data do’s and don’ts – marketers should continually familiarise themselves with consumers’ data rights and the law. Introducing training across an organisation should help to make the correct data approach and procedures the responsibility of the whole business, and a development priority for all staff. Similarly, consumers should also better understand their data protection rights. •	The new research was carried out by Censuswide between 29 July 2016 and 10 August 2016 with a sample of 2,245 UK adults and 500 marketers.